Tourism Award for No.10 Bar & Restaurant! 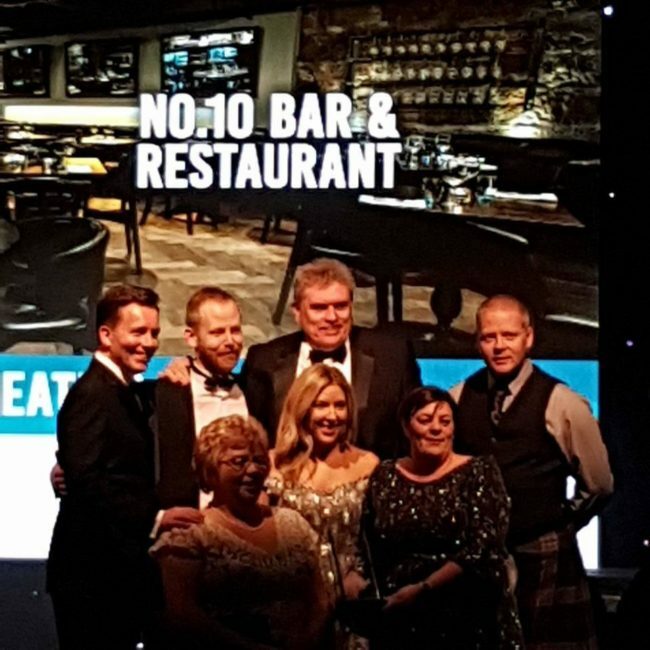 Some of the No.10 team attended the 2016 Aberdeen City and Shire Tourism Awards to celebrate the north east's vibrant tourism industry and it was third time lucky for No.10 Bar & Restaurant! We are proud to announce that we were named Best Informal Eating Experience at the Aberdeen City & Shire Tourism Awards on Friday. As usual our thanks goes to our amazing customers who have supported us from day one! It has been a fantastic first year of business and to date we have been honoured with three local and industry accolades! We look forward to welcoming you all throughout the festive season and beyond!